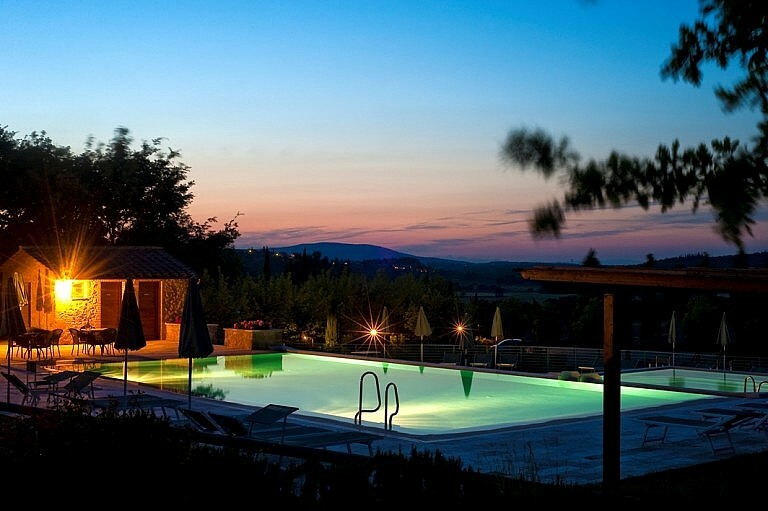 Lido is a beautiful country resort in the middle of a very green countryside a few kms from the center of Casole d’Elsa, a charming Tuscan village near Siena. 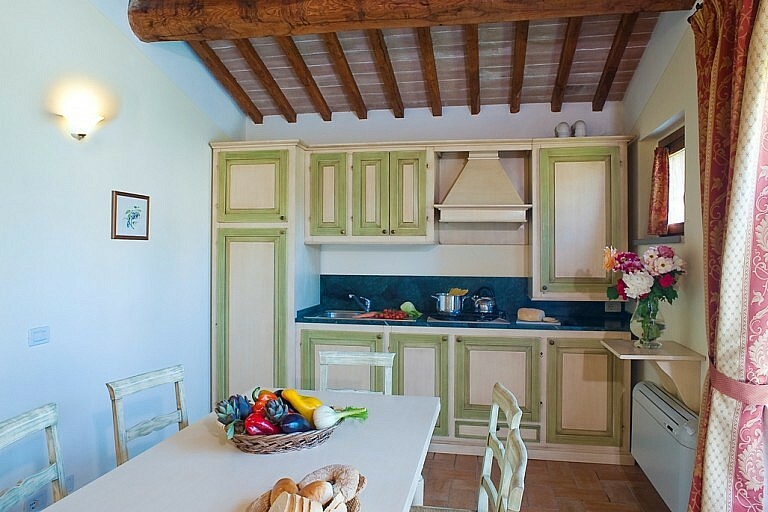 Accommodation is 3 typical Tuscan stone houses, renovated and turned into 15 different apartments, ranging between small one-bedroom units and large three-bedroom semi-detached villas, for a total of 56 sleeps. Every unit has got a private kitchen, fully equipped with cookers, fridge, freezer and dishwasher and a living room with table, TV and a double sofa bed for 2 extra sleeps. 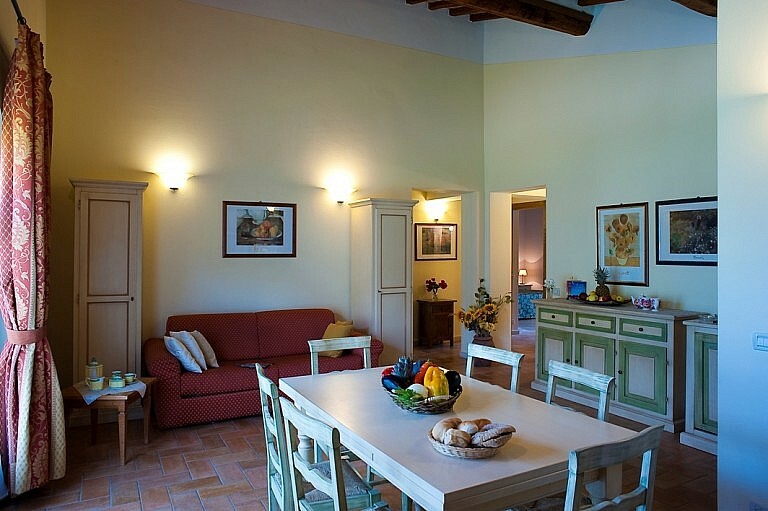 In each apartment are either one, two or three double/twin bedrooms, each with bathroom en-suite and minibar. 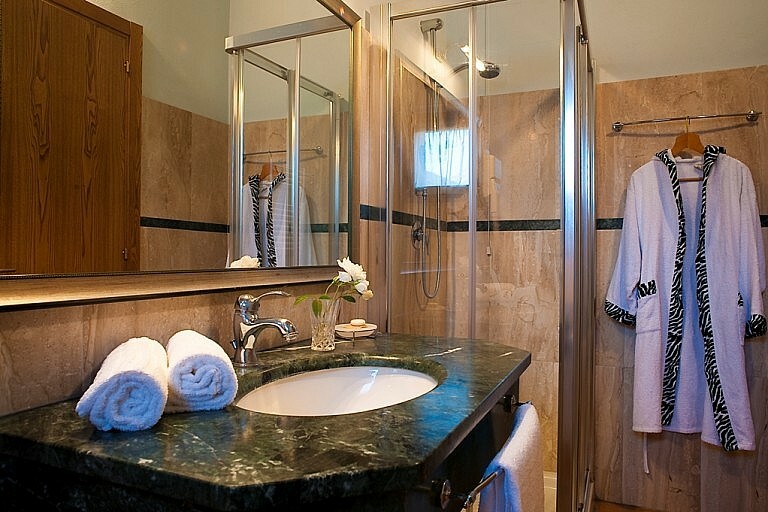 Every bathroom has got high standard finishings and marble showers. 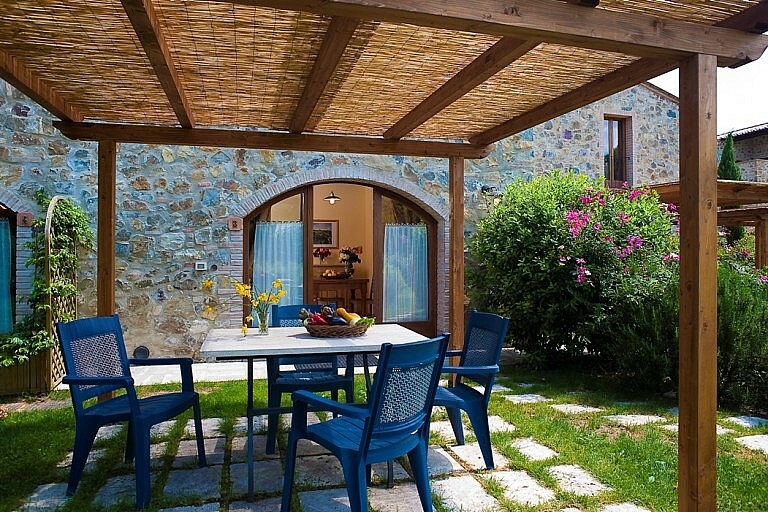 Every unit is also equipped with a safe, a private portion of the garden and a gazebo with outdoor furniture. Finally, every unit is fully airconditioned. 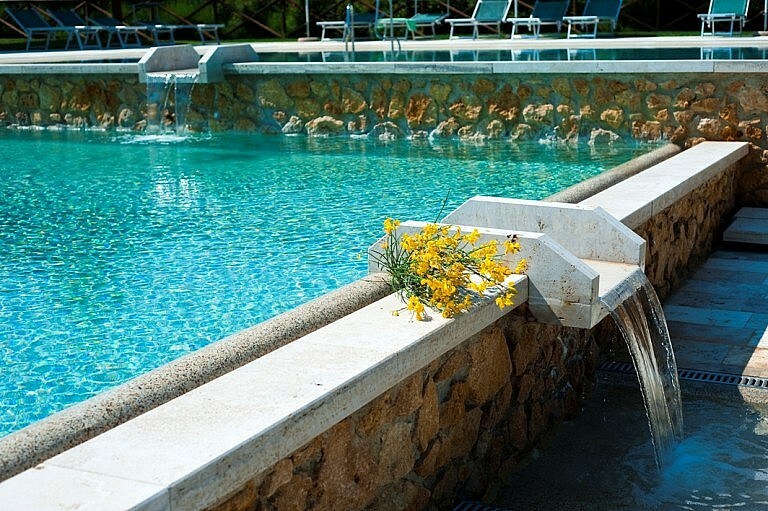 The resort has got three swimming pools with salted water, one large pool for adults, one smaller shallow pool for children and another special pool with Jacuzzi corners. All around the pool are several shaded places along with a large solarium paved in travertino marble. Children can also enjoy a special part of the garden with a safe playground. Adults can amuse themselves at a small volleyball pitch. 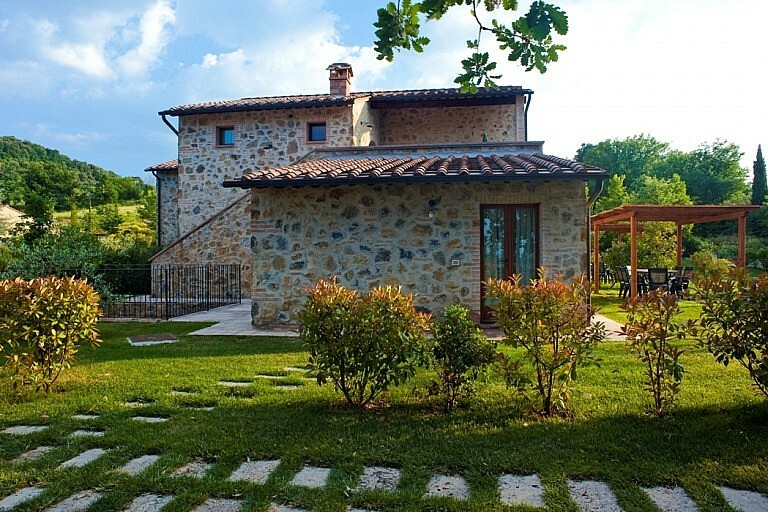 The resort has got a large restaurant in the perimeter of the property specializing in Tuscan dishes. 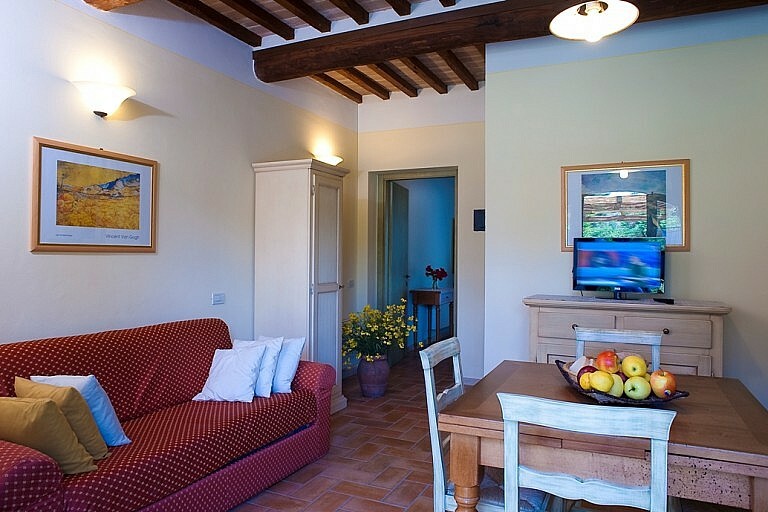 Guests staying at Lido can also make use of three barbecue areas, a free private parking area, free rental of mountain bikes, WIFI internet service and a laundry service (with tokens). 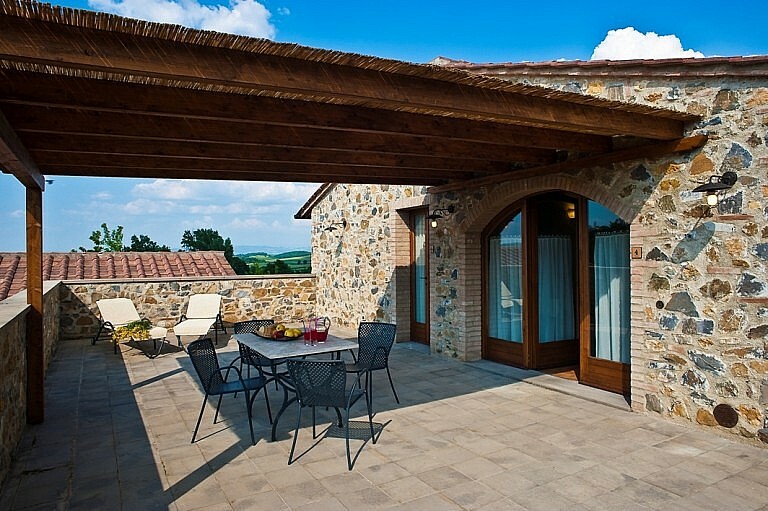 The location is ideal to explore the whole Southern Tuscan region, from Siena, San Gimignano and Volterra to the Chianti classico area and the Valdorcia. 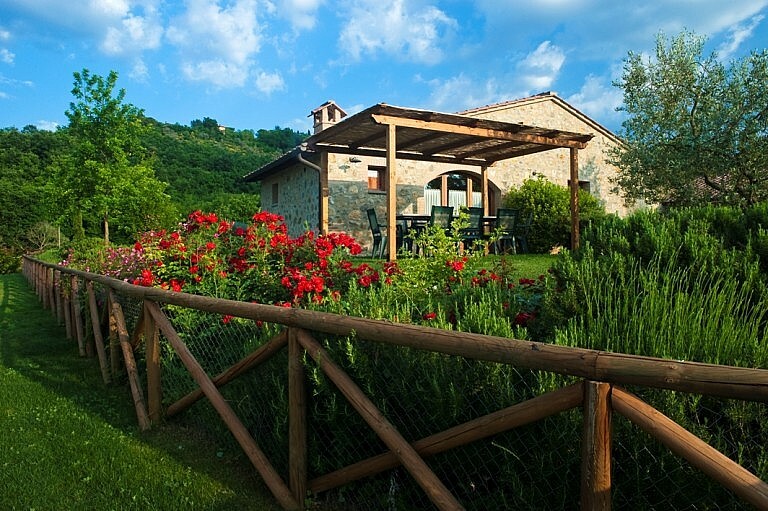 Rates in this property vary according to the type of unit and the season. Please, check rates in the table below. There is a restaurant in the property open to public.